But as styles changed and I chose larger framed glasses, I couldn’t peek under the frame anymore. I was seeing things at close range through corrective lenses, which made close items blurry. The solution was to hold the item away from me. At first it wasn’t so bad, but over time, that area became farther and farther until my arms weren’t long enough. The solution was to flip my glasses on top of my head to do things at close range like looking at my iPhone, signing documents, or reading fine print like the labels on vitamin and pain reliever bottles. Again, at first it wasn’t so bad, but the coordination required to flip the glasses up and down, while comparing product labels, while balancing a grocery basket from hand to hand turned shopping into a choreographed routine. Plus the imprints that the nose pads left on my bald scalp started making me look like an angry supervillain. Over the last decade, my optometrist had been writing two prescriptions for me, one for distance glasses and one for progressives and saying, “You’ll know when the time is right. You’ll know when flipping your glasses is more irritating than convenient.” I knew that the time for progressives was growing near. Through the years, I had heard stories of friends’ challenging transitions to progressive lenses, but I also knew of many for whom it was quite easy. I hoped that when I decided to make the switch, my experience would be somewhere in the middle. From what I understood, stairs and escalators could become a challenge when moving to progressive lenses. To me, they were a challenge at the best of times. Tripping on flat surfaces was not unfamiliar to me either. For those reasons, I delayed until I was in a calm and relaxed place, where I could allow myself the time and head space needed to adapt to the new frames. Finding the right time almost seemed like procrastination, which isn’t usually my style, but when life kept throwing curve balls at me, I didn’t feel it was time to take on a big change like this. But a few months later, the straw to break the camel’s back was at Cineplex movie theatres, before the movie started, when trying to play the TimePlay game on my phone. The combination of looking at the trivia questions on the big screen while trying to quickly refocus on the little screen of my phone to type in my response was next to impossible. I’m not a competitive person by nature, but it killed me to know the answer to a question and not be able to see my phone properly to enter the correct response. I showed up at my favourite glasses store with my prescription for progressive lenses in hand, ready to make the switch, only to have my bubble burst. They couldn’t refill prescriptions that were more than two years old. I had to go back to my optometrist. If the prescription was over two years old, chances are, I was due for an appointment anyway. A couple of weeks later, I was back at the optometrist’s, getting my pupils dilated and getting retested for the big switch. This time it was different. Because I was so motivated to make the switch, our conversation was very focused on making a successful transition. Plus, I asked a lot of questions as I drew upon the experiences of the friends who did encounter issues. With all of that information tucked into my back pocket, I felt reassured that I could do this. 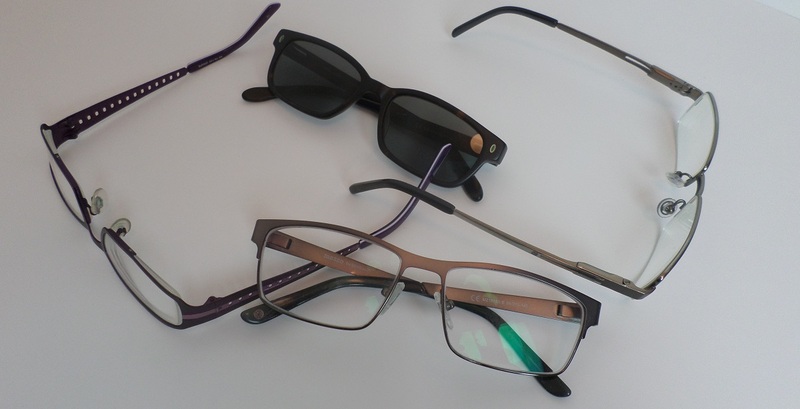 The day that my glasses were ready, I admit I was really pumped to try them out and make the switch, while at the same time, I had thrown a wide safety net of contingencies for the transition. When the optician put the new glasses on me and I looked around, looked up and looked down, it’s not like my universe had changed so significantly. The distance prescription barely changed. The big test was when I pulled out the iPhone out of my back pocket. When I looked down and hit the home button, I could see my wallpaper and then each and every icon in crystal clear detail. That was the moment that rocked my world! Already, I thought it was a success. The optician and I then reviewed the details of what to expect and more contingency planning, just in case. As I drove away, I marvelled at how I could see every detail of my car’s dashboard and all of its pretty lights. When I got home, I started going about my regular Saturday chores. I had been at it for a couple of hours when I realized that my adjustment was going pretty well. I didn’t experience any headaches, I wasn’t overthinking the stairs, and I seemed to be quickly getting the hang of putting close items in the right spot to see them clearly through the bottom part of the lenses. A few days later, I realized that my contingency planning was starting to collect dust as my transition to progressive lenses turned out to be an easy one. The only thing I noticed was that if I was watching TV from a horizontal position, I needed to go back to my old glasses because I couldn’t see distances sharply through the lower half of my lenses. But that certainly wasn’t a deal breaker. All in all, I am really pleased with my new progressive lenses and very grateful that my transition was a pretty easy one. Words cannot describe how giddy I got the first time I returned to the movies and played TimePlay and successfully placed in the top 3, thanks to my new progressive lenses… and my knowledge of movie trivia!